The REROC Waste Forum resolved to undertake a recycling education campaign with the aim of reducing contamination in recycling bins. 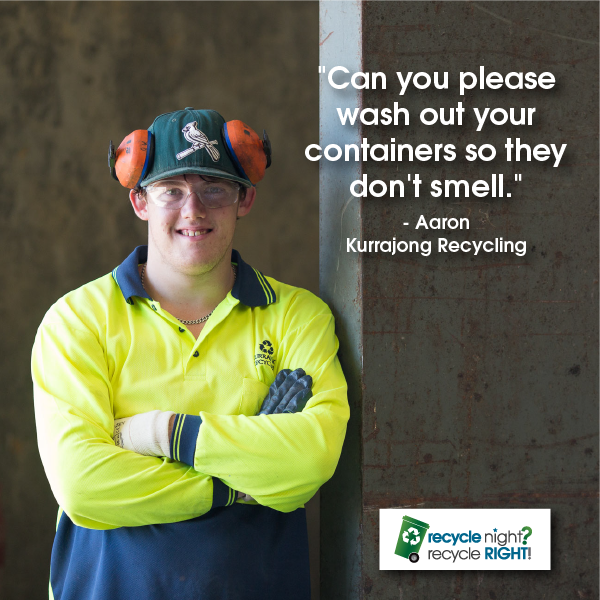 In March 2017 bin audits were conducted across 7 LGAs to collect information on contamination in the recycling bins. The results across the 500 bins showed that there was an average contamination rate of 13.5% per bin, this ranged from 6.2% to 24.5% across the 7 LGAs. The project, Recycle Night? Recycle Right! has been developed to address the contamination problem by encouraging behavioural change through showing the connection between the waste and the people who handle it. 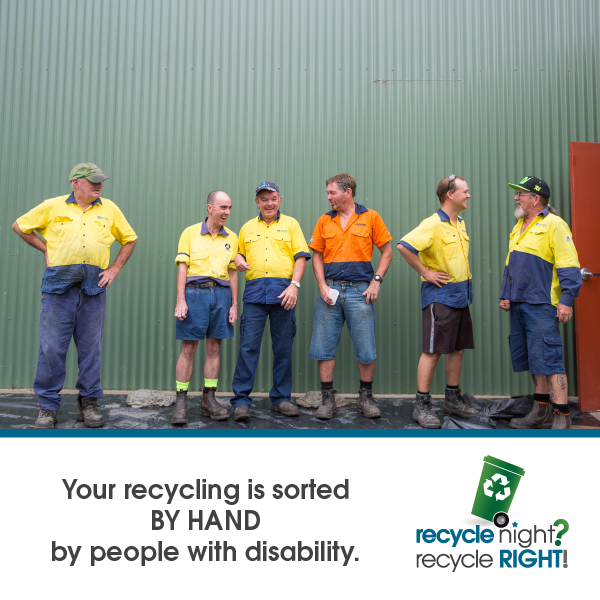 We believe that there was a disconnect that households were unaware that the waste they placed in their recycling bin was handled by real people. The project aims to address that disconnect. 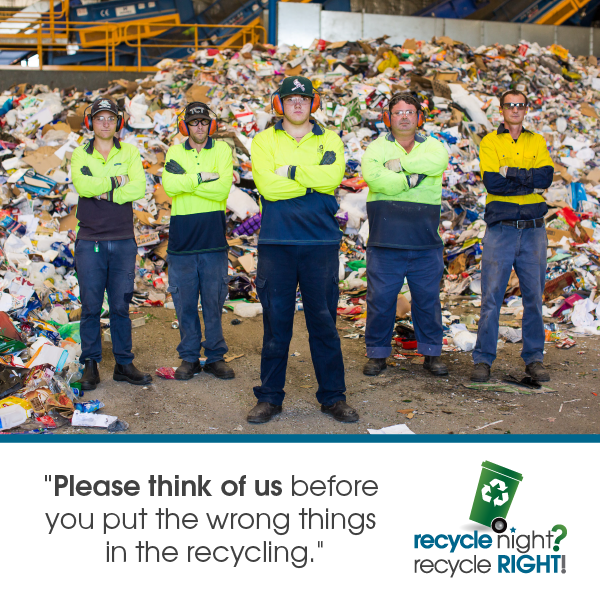 The project consists of a website www.recyclenight.org.au containing information on what can and cannot be recycled along with a TV, radio and social media campaign. 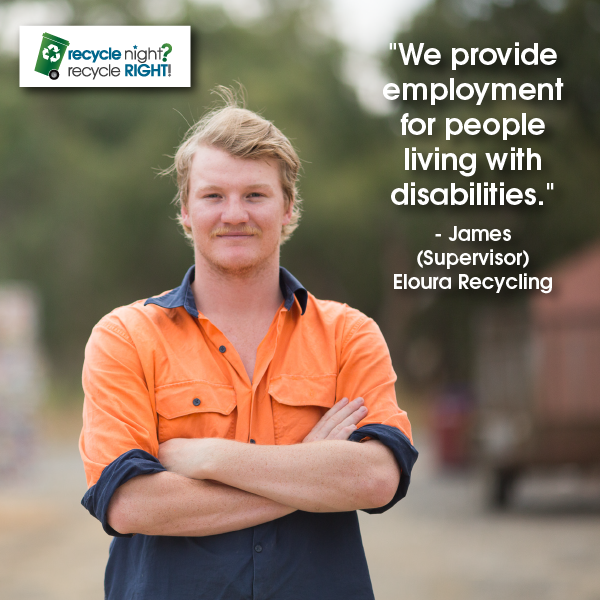 The campaign tells the stories of the people who work at the MRFs that process recyclables in our Region. The campaign was launched in June 2017 and will run for at least the next 12 months. 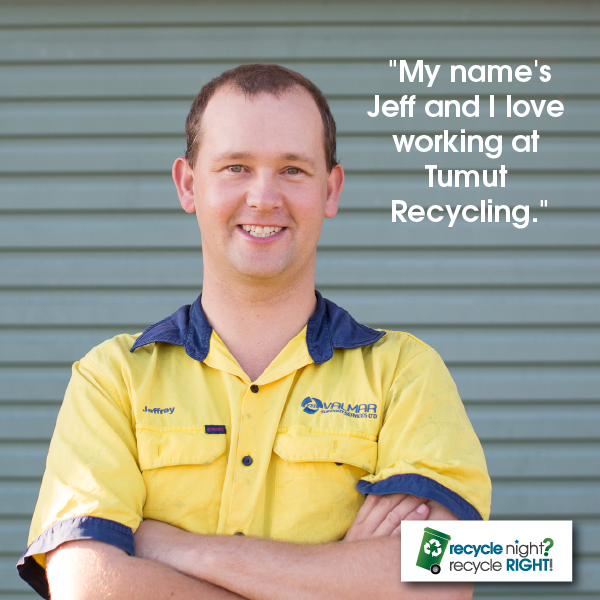 Please visit the Recycle Night? 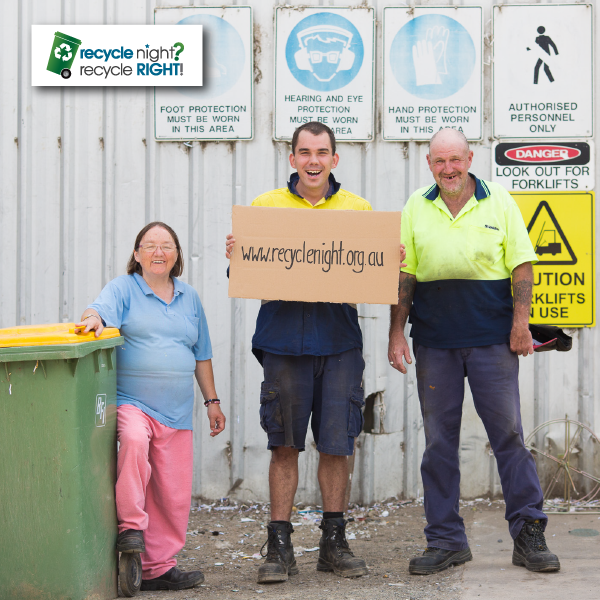 Recycle Right website to view the TV ads and to find out further information on the project.